Dr. Mette Ivie Harrison is a competitive triathlete. In her spare time, she likes to try out new vegan recipes, crochet, knit, quilt, draw, and play the piano badly. She loves Brian Kershisnik’s art, black-and-white illustration as in The Arrival by Shaun Tan, graphic novels, chocolate, and Jane Austen everything. She has 10 siblings and 5 children. Read excerpts of her books at Mette Ivie Harrison’s website. The Princess and the Hound — (2007-2011) Young adult. Publisher: He is a prince, heir to a kingdom threatened on all sides, possessor of the animal magic, which is forbidden by death in the land he’ll rule. She is a princess from a rival kingdom, the daughter her father never wanted, isolated from true human friendship but inseparable from her hound. Though they think they have little in common, each possesses a secret that must be hidden at all costs. Proud, stubborn, bound to marry for the good of their kingdoms, this prince and princess will steal your heart, but will they fall in love? I was about three chapters into The Princess and the Bear when I realized that it must be a sequel. The narrative seemed to assume that I knew more about the characters and their situation that I actually did, and after a quick flick to the back of the book (where there was an interview with the author) this was confirmed. The predecessor to this is The Princess and the Hound, the reading of which probably would have given me a greater understanding of the background that this book draws upon in the crafting of its story. 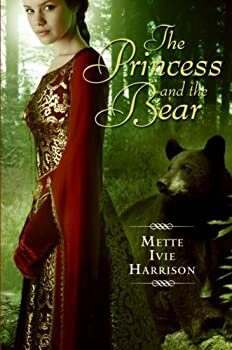 Everyone knows the story of “Snow White and the Seven Dwarfs,” but Mettie Ivie Harrison has something more to say, not just about the Evil Queen, but also her magic mirror. 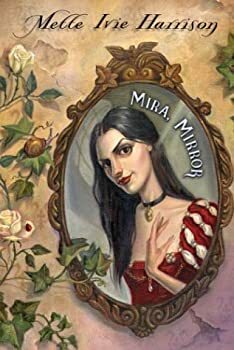 In recent years it has been rather vogue to take a traditional fairytale and put a new spin on it (usually by retelling it through the eyes of the antagonist), but Mira, Mirror not only acts as a sequel to “Snow White,” but also provides a new point-of-view in the form of the Queen's mirror. The Rose Throne — (2013) Publisher: Richly-imagined fantasy romance from the author of Princess and the Hound, a tale of two princesses — one with magic, one with none — who dare seek love in a world where real choice can never be theirs. For fans of Megan Whalen Turner, Catherine Fisher, and Cassandra Clare. Ailsbet loves nothing more than music; tall and red-haired, she’s impatient with the artifice and ceremony of her father’s court. Marissa adores the world of her island home and feels she has much to offer when she finally inherits the throne from her wise, good-tempered father. The trouble is that neither princess has the power — or the magic — to rule alone, and if the kingdoms can be united, which princess will end up ruling the joint land? For both, the only goal would seem to be a strategic marriage to a man who can bring his own brand of power to the throne. But will either girl be able to marry for love? And can either of these two princesses, rivals though they have never met, afford to let the other live? Tris and Izzie — (2011) Young adult. Publisher: “I don’t want him to love me because of a potion,” she said. Izzie loves Mark, and why shouldn’t she? As the captain of the basketball team, he is kind and loving and he’s everything she’s ever wanted in a boyfriend. Her BFF loves… somebody, but she won’t say who. So when a hot new guy, Tristan, shows up at school, who better for Izzie to fix up her friend[LL1] with? And what better way to do it than with a love philtre? But even the best of magic has a way of going awry — and Izzie finds she’s accidentally fallen in love with Tristan herself. And that’s a problem. First of all, there’s Mark. Second, Tristan comes with baggage — like the supernatural creatures that keep attacking whenever he’s with Izzie, and the fact that he comes from the place where Izzie’s father was killed, years ago, by an enormous, evil serpent that’s still around — and it knows Izzie is out there. Like Mettie Ivie Harrison’s The Princess and the Hound, praised by Orson Scott Card as “powerful, surprising, moving, and deep — a classic,” Tris and Izzie rings the changes on a timeless legend, this time in a contemporary high school setting. The Gift of the Demons — (2012) Young adult. Publisher: Nick is just a sixty year old janitor as far as Fallin is concerned, until she sees him defeat a demon. As more people at her high school begin to make bargains with demons, Fallin runs into Nick more and more often. Then she finds out that Nick has made his own bargain with a demon, and that the girl he loves doesn’t know what he’s given up for her. Fallin wants to help, but at what price? An Ideal Boyfriend — (2012) Young adult. Publisher: Based on the Oscar Wilde play and movie: An Ideal Husband. Trudy comes from a family without luck, but when she tests lucky, she leaves her home and enrolls in St. James Academy for Luck, an exclusive school largely for children of old luck families. Out of place, she nonetheless becomes the girlfriend of Rob Chiltern, Student Body President. Everything should be great in her life until Rob’s ex Laura appears and tries to blackmail him. CLICK HERE FOR MORE BY METTE IVIE HARRISON.